Kumamoto Oysters, Fresh from South Puget Sound, WA & Willapa Bay, Washington Coast! 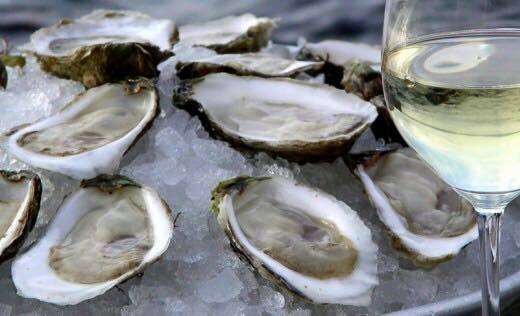 The Oyster Guide calls the Kumamoto the ‘Chardonnay of oysters’ and are among the most popular oyster due to their luscious fruity flavor and light brininess. Kumamoto Oysters are deep-cupped with petite meats, have a mild brininess, sweet flavor and a honeydew finish. They are a favorite for both new oyster eaters and connoisseurs. Kumamoto oysters originated in Yatsushiro Bay, Kumamoto Prefecture, Kyushu Japan and were shipped to the US in 1945. But strangly, even though they are extreemly popular in the US, they are unknown in Japan today. Kumos from California are cultivated by Inter-tidal Longlines while Kumos from Washington are culitvated with the Rack & Bag method. Willapa Bay oysters were the first oyster to be harvested en masse starting back in 1850 when Willapa Bay was known as Shoalwater Bay. The oysters were marketed to San Francisco forty-niners, but by 1900 the stock was depleted. Today, most of these oysters are produced for the shucked market, but some are available on the half-shell and we have them this weekend! Willapa Bay oysters are bottom cultured and have full, firm meats with a light brininess, sweet flavor and cucumber finish. Absolutely delicious! Their seasonings are very good so you can't go wrong! The dessert was incredible! Do yourself a favor and order the blackened ahi appetizer, salmon with pineapple sauce and the brownie dessert and you will have an amazing meal! This was a great experience for me as a chef. I enjoyed this restaurant I thought the menu is very creative love everything that we had on the appetizer menu. The Caesar salad was fantastic housemaid dressing you could tell the croutons were made there what an awesome salad. This you... read more can tell by the simplest salad that the chef created he took great time and patience to come up with a great recipe ! I would highly recommend this restaurant to anybody that wants to have creative well seasoned food. If I live down in Castle Rock this would be the place where what I would want to work at and be associated with. I can keep on going but this was truly a great experience and I enjoyed everything that we had the blue point oysters were fantastic the clam chowder was beyond words!!! It's great to see a place where a chef can actually be a chef!!! !